Hey﻿ ﻿all. I want to tell my experience of gambling. I have s﻿tarted gambling at 2016. Firstly I played at freebitco. I was using it as faucet and tried their multiplay﻿er dice game. But I have lost 0.14 btc there. Then I played a﻿t other site. Bitsler, lost ﻿﻿there also few dollars. Then move to all famous site. Played at fortunejack, primedice, stake, duckdice, luckygames, bitverts, goup etc. 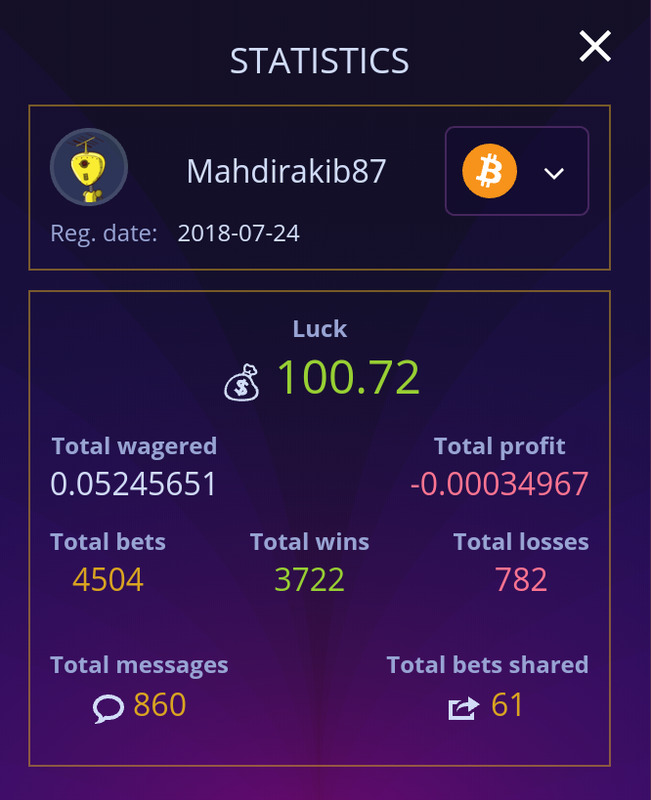 I have got little profit at stake, bitverts, goup. My gambling time was goi﻿ng so well. But in last few 3 days I have lost around 600$ total at some site. That's all I have. Really now I'm in a bad situation. I have left nothing on my wallet. But still haven't lost my hope. I wish I can recover. I need to recover. But it will take a long time. Firstly I need to build up a base balance and recover slowly with patient. It's gambling. It is the place of miracle. Just never give up. Loss more slo﻿﻿﻿﻿wly or recover slowly. This is my target now. Finally I'm at casinoroyale. Let's see what happens to my luck here.